GSI Outdoors Bugaboo Fry Pan is the dependable, non-stick option for all your outdoor cooking needs. These high-quality aluminum pots and pans are light enough for backpacking, yet heat evenly enough to satisfy the most demanding camp cook. 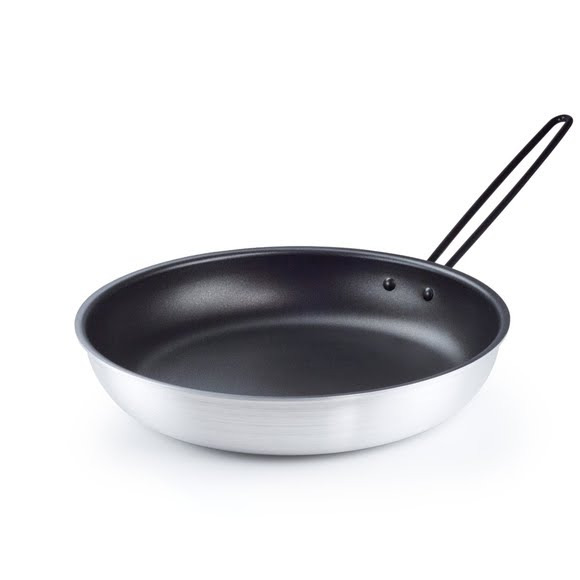 Plus, each piece is fully-formed then coated with two layers of durable nonstick coating for added scratch resistance. Dimensions (packed) 12.80" x 12.40" x 3.00"
Weight 1 lbs. 12 oz.